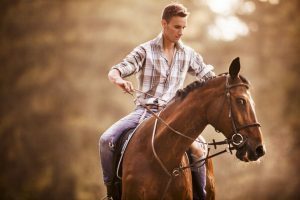 There are a couple of different ways that horse riding can really help to reduce stress .This is not just an assumption any longer, as there have actually been studies carried out to support this. One particular study showed how teenagers who get the chance to ride horses as well as handle and groom them, were able to have their stress hormones reduced. Aside from horse riding, there is always the responsibility of grooming the horse, which is often done prior to the riding a session that is going to take place. This comes with a learning curve, as there is quite a bit that has to be learned about grooming the horse, and then being able to tack the horse up properly for the upcoming ride. All of these activities help to build a sense of confidence in the rider and provide a positive experience for them. This helps to take away the negativity that often comes with stress. Horse riding also provides some time away from various stress triggers. Many people live in an atmosphere where there are a lot of pressures that can adversely affect them. Even the environment where horse riding takes place helps to reduce the stress levels.